The only news we’ve heard about Lady Gaga lately is about her hip surgery and golden wheelchair, but that doesn’t mean she isn’t still etching her mark into cultural history. 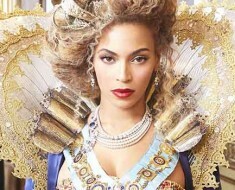 According to a “Face-Off” poll conducted by TIME, she is the second most influential icon of the past ten years. 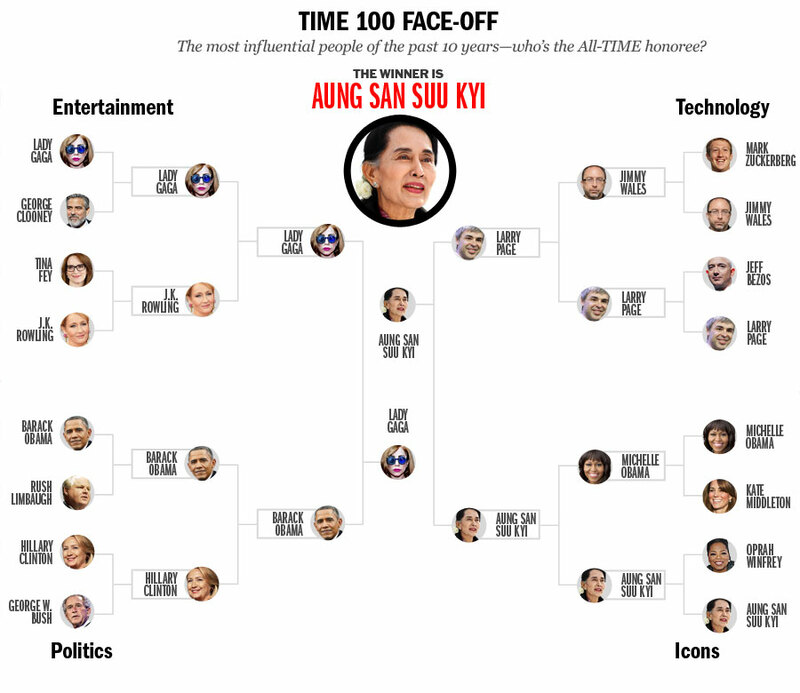 Mama Monster may have beaten out a few political figures, actors, and authors, but she was the runner-up to Aung San Suu Kyi, a Burmese pro-democracy leader and Nobel Peace prizewinner. Gaga is great and there’s no denying her massive influence, but I think more than a few of us exhaled a sigh of relief that a pop singer didn’t take home #1 (though her political efforts are reputable). Do you find Lady Gaga influential? Who do you think should have been voted #1?